What is Turbine Flow meter ? Turbine flow meters are divided into liquid turbine flow meters and gas turbine flow meters, which convert the flow rate to the rotor speed and then convert the speed into an electrical signal proportional to the flow rate. 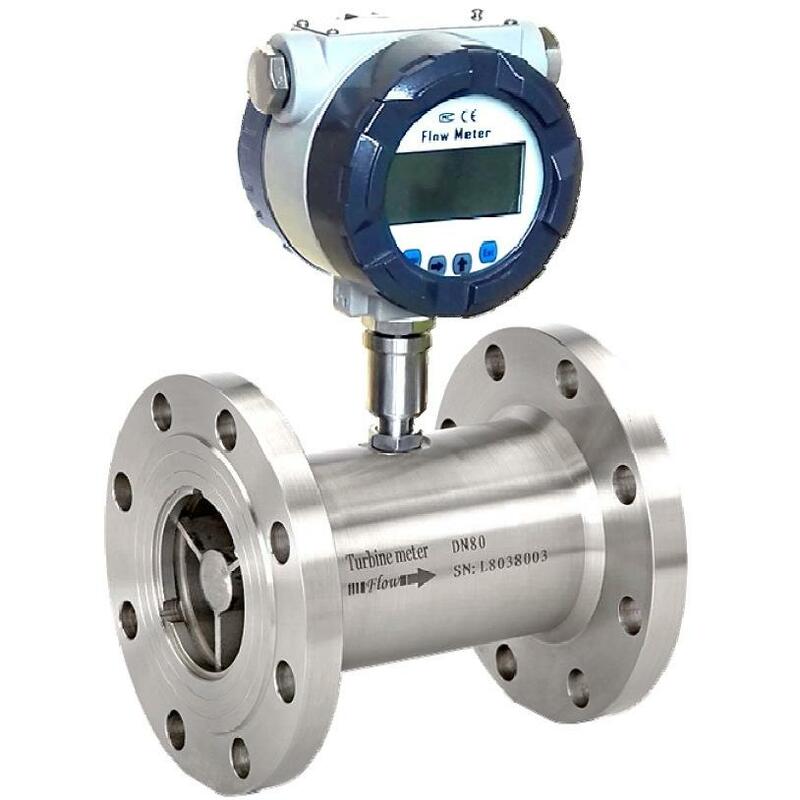 This flow meter is used to detect instantaneous flow and total integrated flow, and its output signal is frequency, which is easy to digitize. Liquid turbine flowmeters are often used to measure water, diesel, alcohol, etc. Gas turbines We measure nitrogen, biogas, natural gas, etc. This article talks about the the advantages and installation of turbine flowmeters. Turbine flow meter is a kind of flow meter with many advantages. It is divided into gas turbine flow meters and liquid turbine flow meter. Summed up, it has the following characteristics. The accuracy of the turbine flow meter is about (0.5-1). In the linear flow range, even if the flow rate changes, the cumulative traffic accuracy will not be reduced. And in a short time, the reproducibility of the turbine flow meter can reach 0.05%. The turbine flow meter has a range of up to 1:10. Under the same caliber, the maximum flow rate of turbine flow meter is larger than that of many other flow meters. Turbine flow meter can be made into a closed structure, its speed signal is non-contact measurement, so it is easy to achieve high-pressure design. If the turbine and bearing of the flow meter are made of materials with high temperature resistance and low coefficient of thermal expansion, they can be used in a wide temperature range. At this time, we should pay attention to correcting its meter coefficient. The output of the turbine flow meter is a pulse digital signal proportional to the flow rate. It has the advantages of not reducing the accuracy in the transmission process, easy to accumulate, easy to send into the computer system. In order to give full play to the characteristics of the turbine flow meter, the installation and use of the flow meter must be paid full attention to. The following questions are discussed briefly. The liquid measured by turbine flow meter is generally low viscosity (generally less than 15 *l0-6m2/s), low corrosive liquid. The installation of the flow meter has great influence on the measurement accuracy of the flow meter. a. The uneven velocity distribution and the existence of secondary flow in the tube are important factors affecting the measurement accuracy of turbine flow meter. b. Turbine flow meter has a higher requirement for the cleanliness of the fluid, so it is necessary to install a filter before the flow meter to ensure the cleanliness of the fluid. The filter can be funnel-shaped, and its cleanliness can be measured by differential pressure changes at both ends. c. In order to ensure that the liquid passing through the flow meter is single-phase, that is, air or steam can not enter the flow meter, in the upstream flow meter should be equipped with a degasser if necessary. a. Limit the maximum length of the signal line. b. Shielded cables should be used for signal transmission lines to avoid inductive noise from outside. The transmission cable should be shielded from the ground of the display terminal. The transmission cable must not be close to the strong electromagnetic equipment, and it is not allowed to be arranged with the power line. a. When the pipe of the turbine flow meter needs to be cleaned, the bypass must be opened and the cleaning liquid can not pass through the flow meter. b. The bypass must be opened before the pipeline system starts to prevent sudden increase of flow velocity and damage of turbine speed. c. Turbine flow meter bearings should be replaced regularly. Generally, the wear of bearings can be observed according to the variation of small flow characteristics.